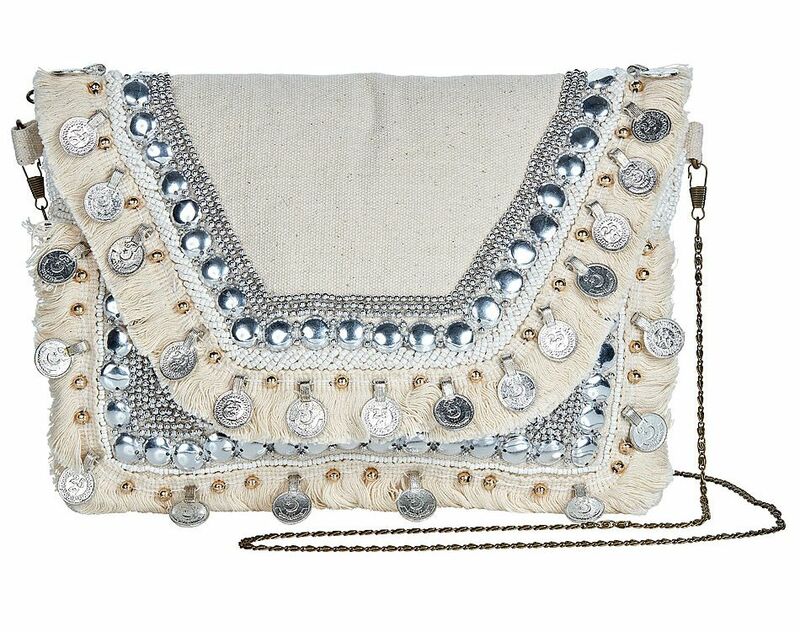 The Paris Bohemian Clutch Bag small yet spacious for a day to day look or a night out. With intricate designs and a great deal of detail all over, the boho clutch is the perfect mix of East meets West - a Western take on the classic Eastern designs. Every piece is carefully Eastern designs. Every piece is carefully handcrafted by skilled female artisans in India. 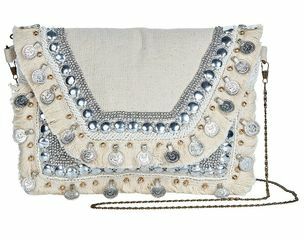 The clutch includes some recycled materials within the bag for long wear and sustainability.